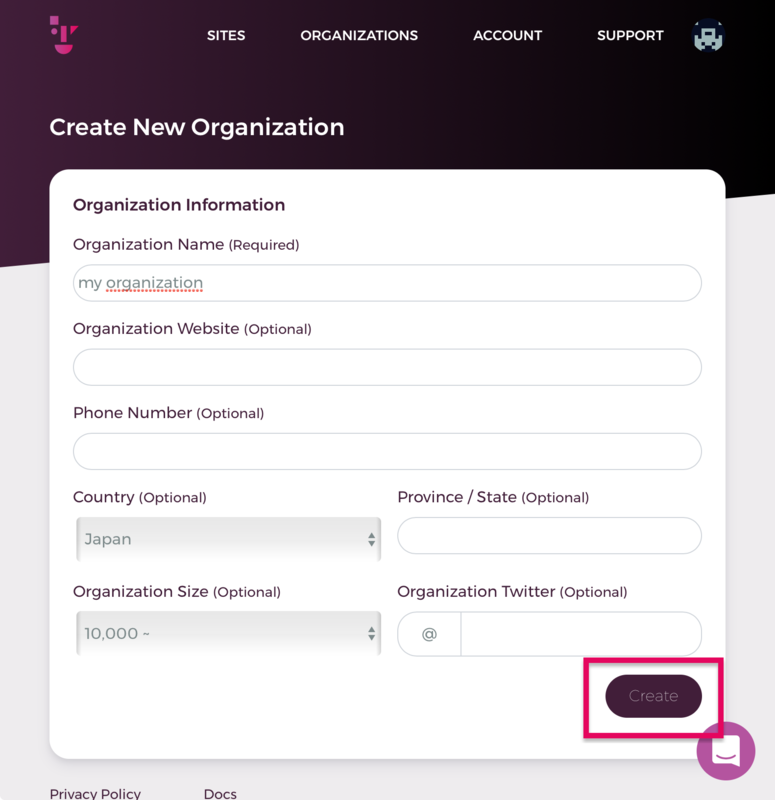 This article describe how to set up and handle Organization feature. 1. 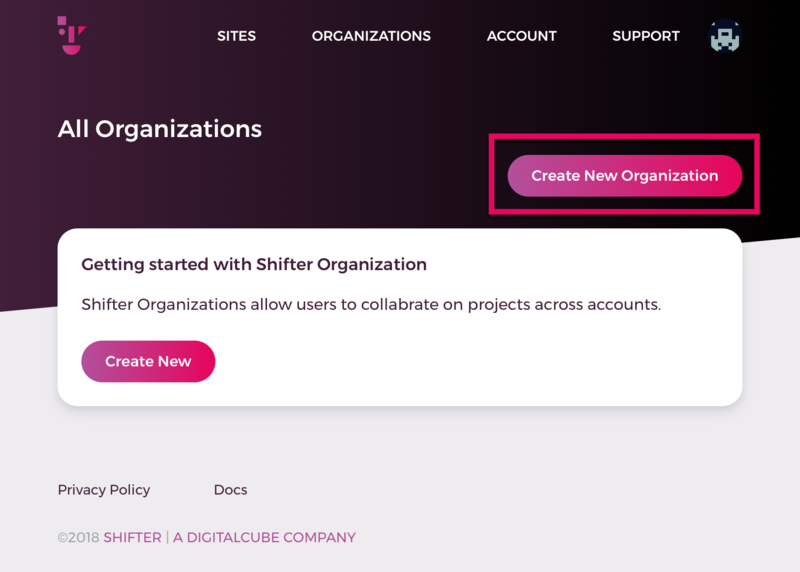 Navigate to [Organizations] menu after login to Shifter. 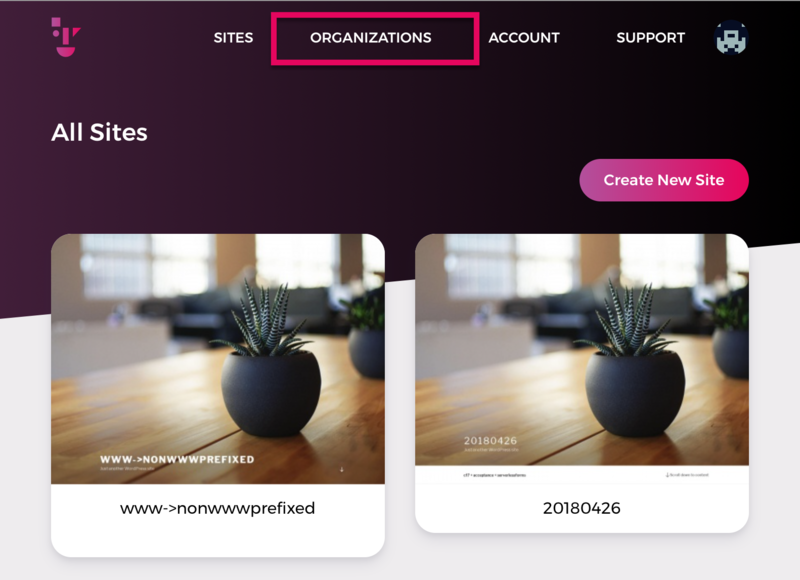 One or more site you can add to Organization. 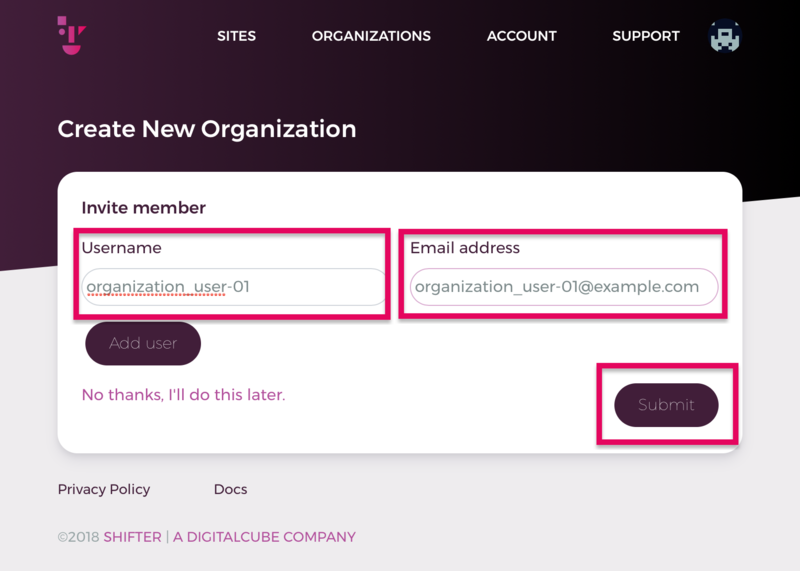 It enables you to add sub users who can start/modify/generate/deploy Organization-belonged sites. Please tell him who you invited, to check mail and click login URL in a mail he's gotten and overwrite temporary password to activate his account. Click [View Sites] to access Organized sites. 7. Start WordPress and deploy an artifact. Navigate to Organized site, and click [Start WordPress] then login it. After writing posts, customising themes or plugins, stop WordPress, generate artifact and deploy as a usual Shifter processes. 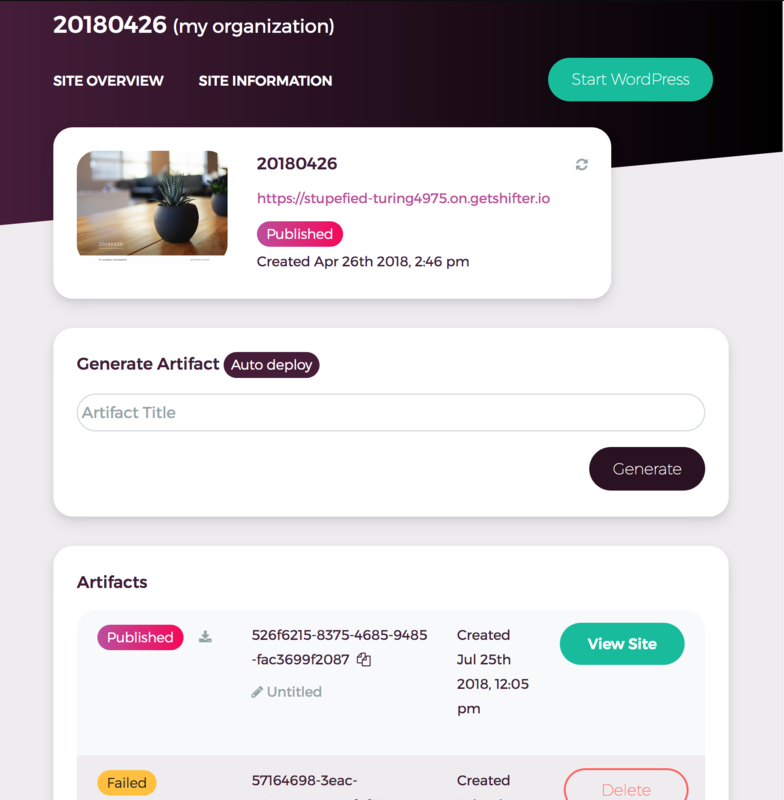 For more details for handling WordPress, generating or deploying artifact, please check out our document: Creating an Artifact or Get Started with Shifter. 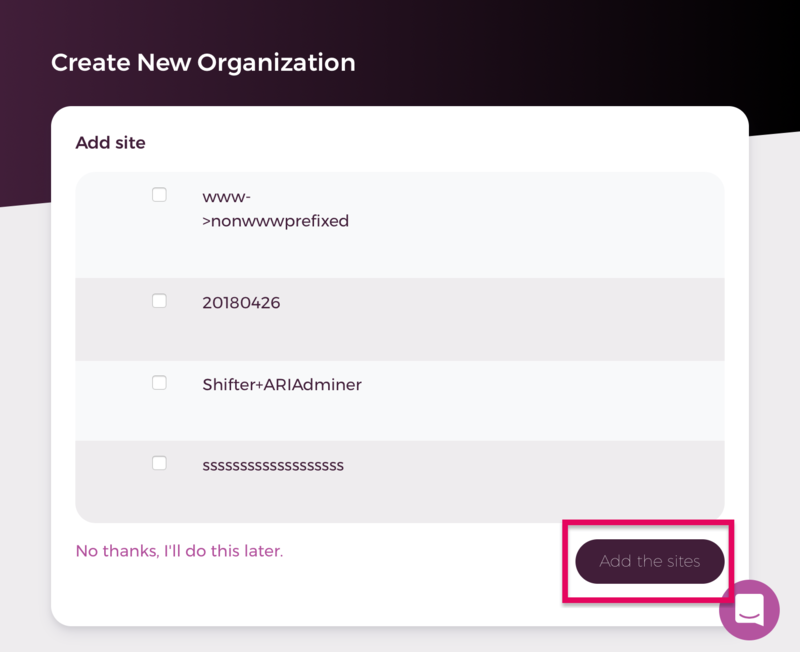 After generate an article by owner of Organizer or any member, it will be published automatically, if Automate Deploy is enabled. Check out our document How to disable Automate Deployment to disable this feature.